At the height of World War II, LOOK Magazine profiled a small American community for a series of articles portraying it as the wholesome, patriotic model of life on the home front. 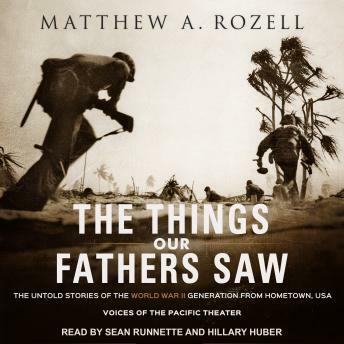 Decades later, author Matthew A. Rozell tracks down over thirty survivors who fought the war in the Pacific, from Pearl Harbor to the surrender at Tokyo Bay. The book resurrects firsthand accounts of combat and brotherhood, of captivity and redemption, and the aftermath of a war that left no American community unscathed. Here are the stories that the magazine could not tell, from a vanishing generation speaking to America today. It is up to us to remember-for our own sakes, as much as theirs.